The Phoenix Insurance is built on the bedrock principle of customer service. We strive to give our customers the benefit of our years of experience, and to give consumers the right answer to their questions, whether or not it results in the sale of a policy. Insurance is not a “one size fits all” business, so we take the time to get to know our clients, help them understand their needs, and find the best option to insure their valuable homes, autos, and other assets. 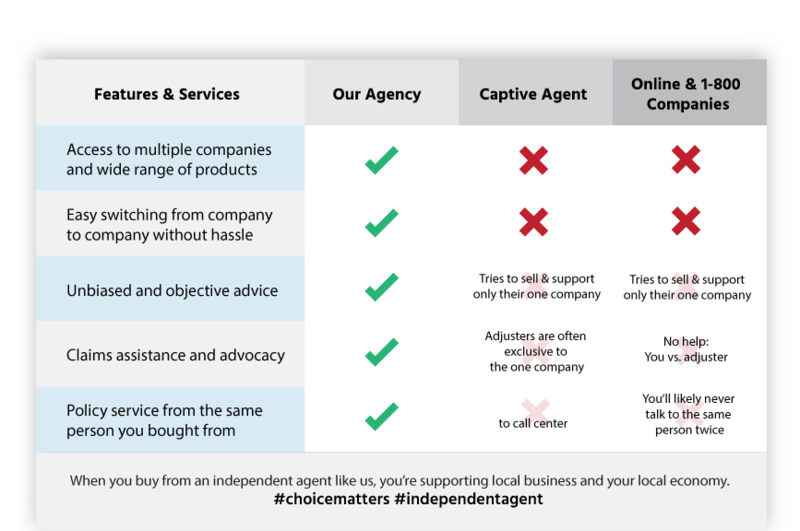 As independent agents, we have many options to choose from to help insurance consumers get the best value for their insurance dollar. Our insurance consultants have a drive to be the best, and want to create clients for life. Whether it is your home, your auto, your classic or exotic car, or any other asset you own and wish to protect, our consultants will help you to craft the perfect policy at the perfect price point. Why do business with The Phoenix Insurance?